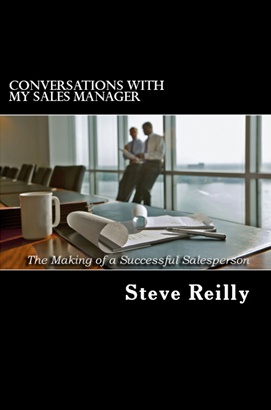 We coach sales people and their managers one-on-one in the field on the techniques laid out in Steve Reilly’s book, Conversations with my Sales Manager. Using a proven set of pre- call planning and post-call debrief practices we rapidly increase the tactical and strategic effectiveness of sales people and of sales manager coaching abilities. How do we work with you and your team? We conduct a short, focused analysis of your company’s value proposition, sales process, market and customer decision-making process. Once we have an understanding of the sales process, customer influencers and decision makers we reach out to the sales person or managers for a short discussion to outline expectations for the ride-along. Meeting protocol and role clarification. We are experienced, successful salespeople. We know how to conduct ourselves in sales situations and in front of customers. Pre-Call Planning Discussion using SPJ Consulting Pre-Call Planner. Post-Call Debrief using SPJ Consulting Post-Call Debrief Format. During the customer meeting our role is to observe implementation of the techniques and when necessary prompt the salesperson to follow the process. After the customer meeting, we provide direct, honest and constructive feedback to the salesperson’s performance. After a day or days in the field, the sales person and his or her manager receive a report on strengths, opportunities and developmental needs.